In Illinois, prospective gun owners must obtain a Firearms Owners Identification (FOID) card before they can legally purchase a gun. 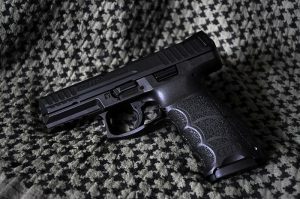 Before the police will issue a FOID card the department runs the prospective gun owner’s name through both state and federal background check systems. Using false information to obtain a FOID card is a serious crime that can result in charges for entering false information on a FOID application and, if a firearm is actually sold to you, possession of a firearm without a valid FOID card. If you live in the Chicago Metropolitan Area and are being investigated in connection with a weapons charge contact the Law Offices of David L. Freidberg today. Mr. Freidberg is a gun crime defense attorney who understands that the state of Illinois has extremely strict gun control rules and that sometimes law enforcement officials can become overzealous in interpreting what constitutes a valid weapons charge. Contact our office at (312) 560-7100 today to schedule a free consultation.